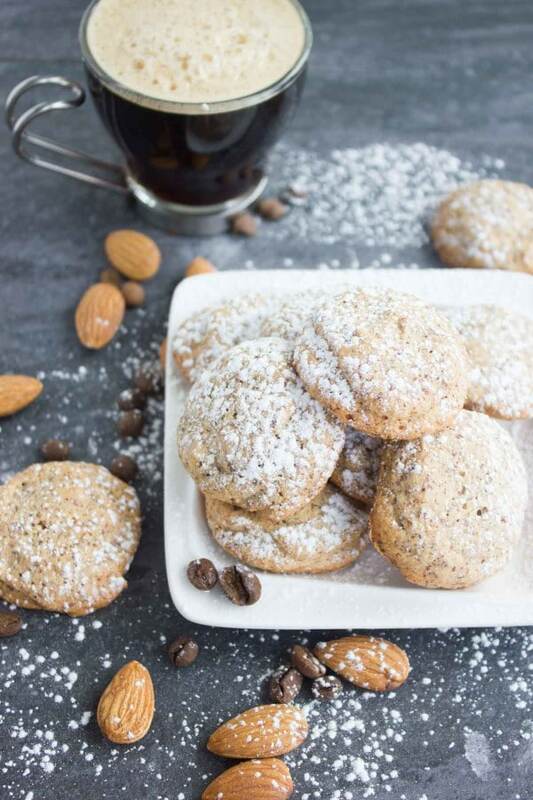 This espresso amaretti cookies recipe is a super easy one that gives you light as air amaretti cookies with just 3 ingredients! 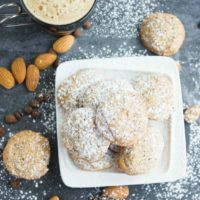 I love spiking up my amaretti cookies with espresso for a richer deeper aroma, but even without espresso, these cookies are a fluffy light almond dream with a slight crunch! 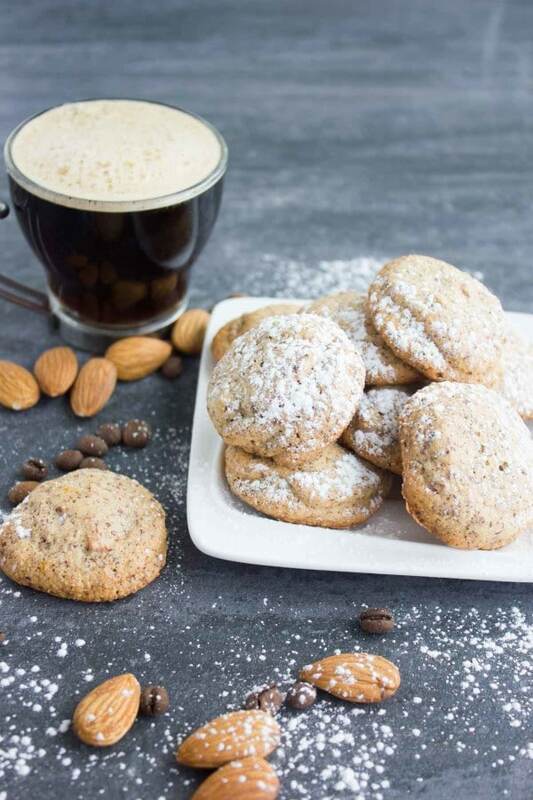 Totally fat free and just loaded with almond goodness, these espresso amaretti cookies are on the skinny side of sweet pleasures! So yes another espresso related recipe, in fact I hear you it’s almost as if I am advertising for something (which I truly hope) but truly am not! –I just have a thing for espresso, and I only found out about this five years ago…but ever since, I just couldn’t go back. 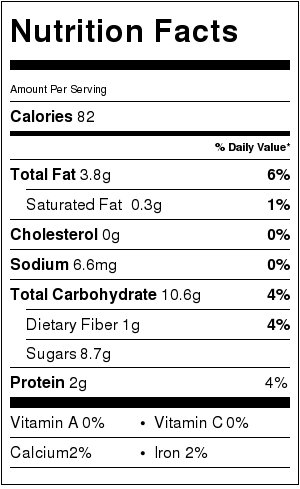 So whenever I am thinking of something, I think can it be paired with espresso–you will be surprised to find out that everything, yes e-v-e-r-y-t-h-i-n-g pairs fabulously with espresso! Ok if you’re not yet convinced, just try these espresso glazed pumpkin spice donuts: baked pumpkin donuts with an espresso glaze–the perfect pumpkin match! And chocolate caramel latte muffins: chocolate, caramel and espresso-seriously it doesn’t get better than that! 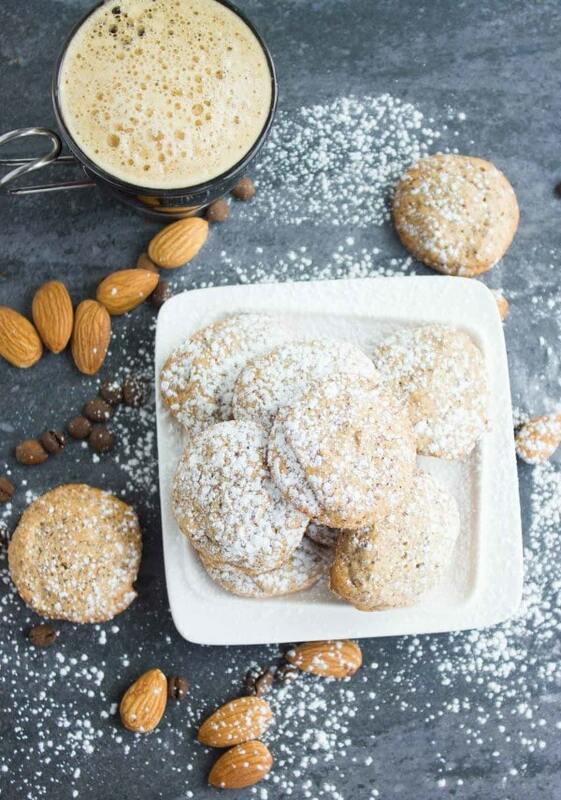 And now: espresso amaretti cookies : espresso and almond with a slight crunch–light and divine! I always thought of my dad as the espresso king (he would love that title!) He drinks it all the time and critiques different ones he tries at different places. About 5 years ago he was visiting me and spent quite a fortune everyday for his “espresso fix”, I at the time used to push him into drinking my good old machine brewed coffee and he persistently refused. So towards the end I thought I should get me an espresso machine for every time he visits. I looked and looked for a certain European brand coffee machine he loved but couldn’t find it here. So I got a nice but quite average espresso maker, and ever since, I haven’t been able to love any other coffee except an espresso based coffee, ever.. so call it co-incidence, call it genetics, I call it pure espresso love! 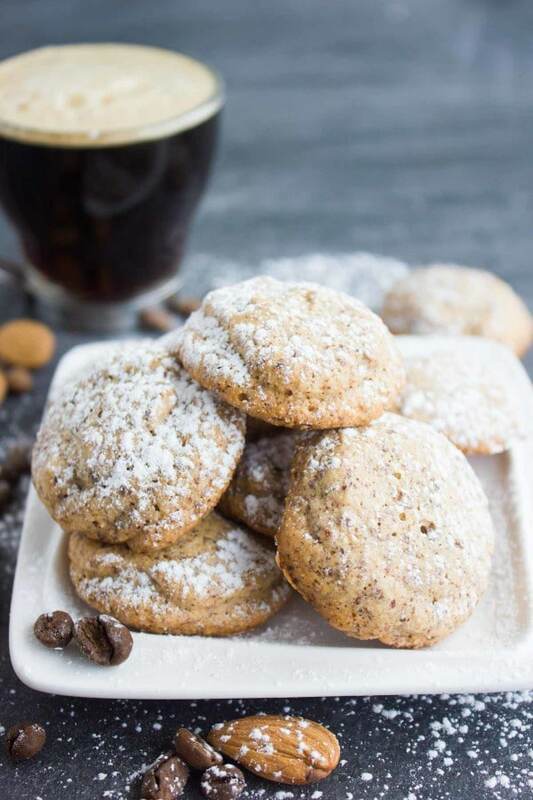 Just like these espresso amaretti cookies: pure espresso almond crunch love. 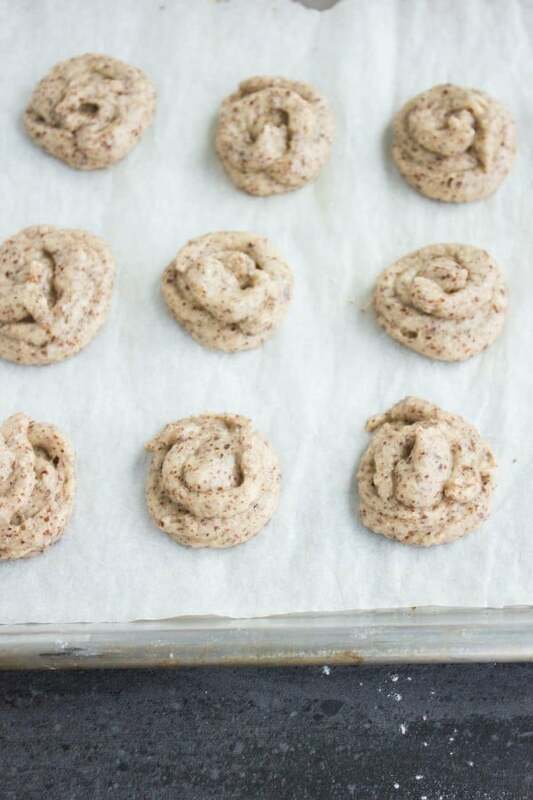 They start with a nice beating of egg whites,if you have any issues with merengue and egg whites– don’t worry this is a very forgiving recipe and the star of these espresso amaretti cookies is not the merengue, it’s the almond! So just put the egg whites and whip them up continuously (that is important!) until they look like soft fluffy clouds that hold their shapes, not runny fluffy clouds. I love to process the sugar with almond flour and espresso in a food processor to make sure the texture is utterly smooth. 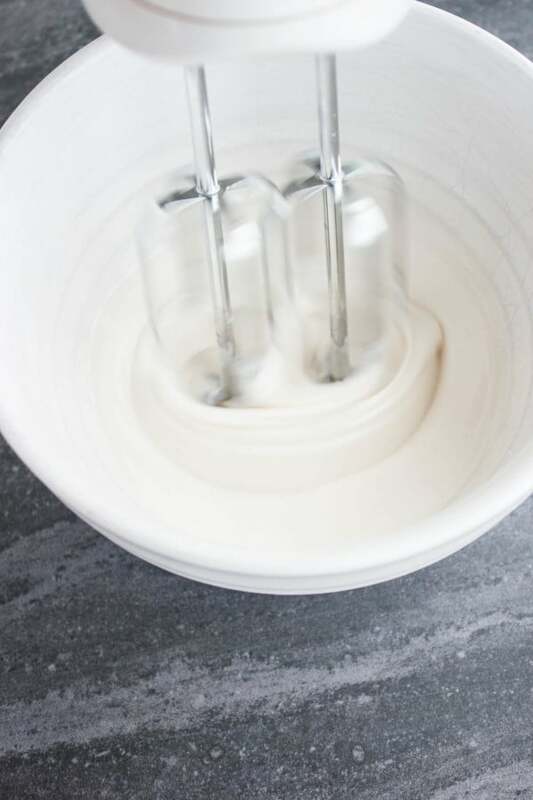 Then all you’ll do is gently fold in the almond mixture into the egg whites.. after that, put this light as air batter into a piping bag and pipe rounds or any shape of cookies you like and bake.. it’s really that simple.. and it’s really that much worth it! Then kick back with a nice cup of coffee and enjoy!!! 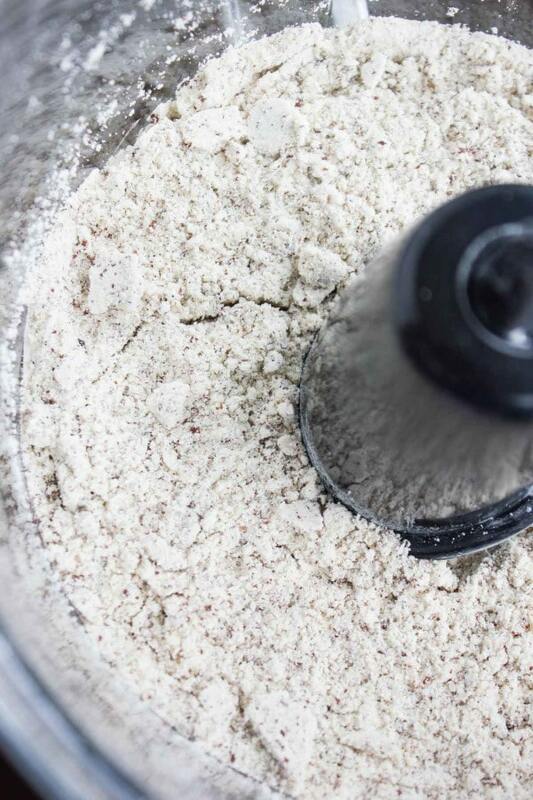 Place the almonds, confectioner sugar and espresso beans in a food processor and pulse the mixture until it's powdery smooth. In the meantime, start beating the egg whites with clean beaters in a clean bowl --MAKE SURE no traces of egg yolk are in the bowl or beaters. TIP: Wipe the bowl and beaters with a paper towel that's soaked in vinegar to make sure no traces of fat remain. 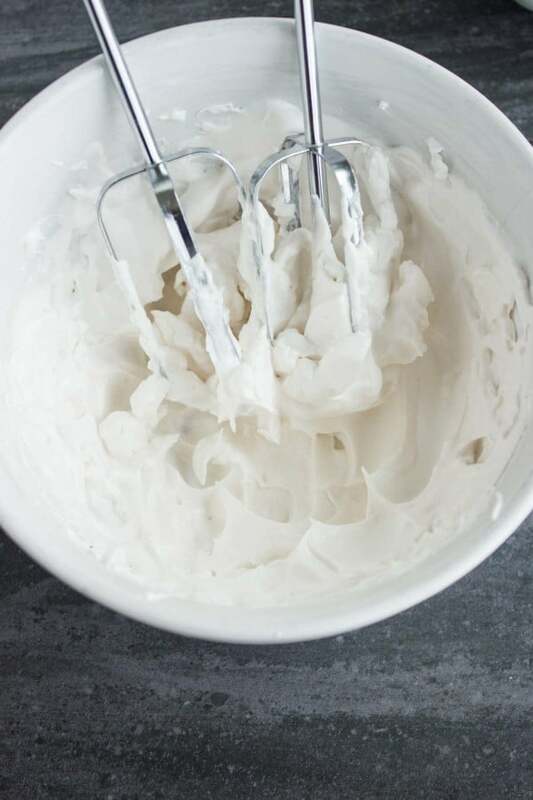 When the egg whites begin to foam, add in the pinch of salt, vanilla and the granulated sugar one tablespoon at a time while beating the egg whites. Continue beating the egg whites until the merengue starts to form and it reaches stiff peaks. A mixture that's airy and stiff, and sticks to the bowl. At this point, using a rubber spatula, add in the almond-sugar-espresso mixture in 3 additions while folding gently. 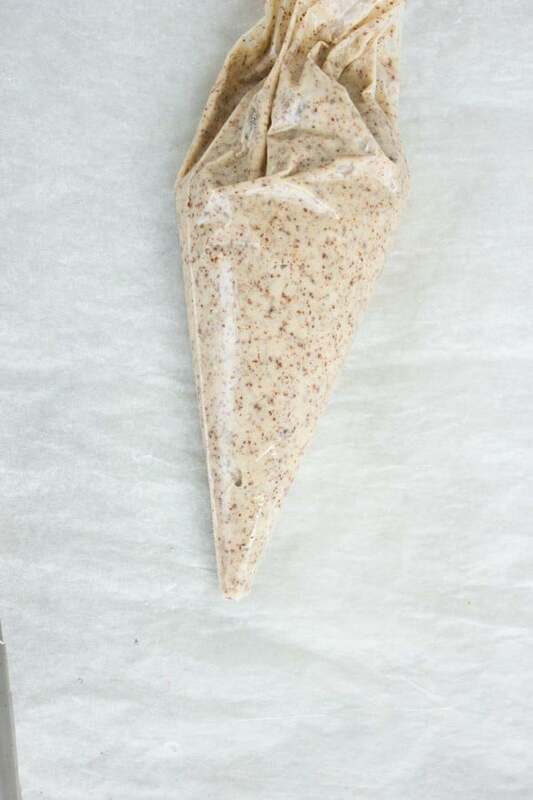 Place the batter in a piping bag and start piping rounds on a parchment lined baking sheet. Pipe rounds of cookies about an inch in diameter and half an inch in height. Bake the cookies for 20-22 minutes until puffed and the edges look set and firm. Turn off the oven, open the oven door slightly and leave the baking sheet inside the oven with the cookies to cool down for about 30 mins before removing them from the oven. 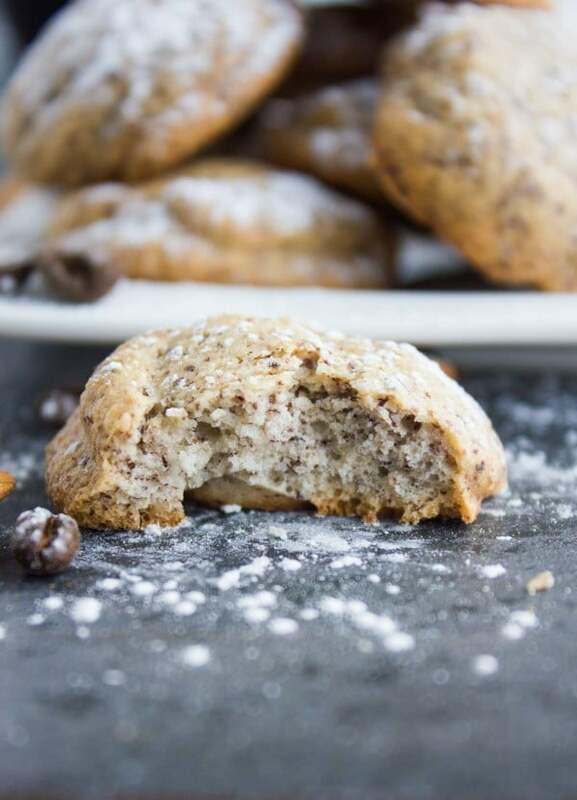 Serve the cookies dusted with more confectioner sugar. Thanks Rebecca–hope you make them soon! So true Anne! Thank you! Florentina–I feel YOU 😉 Thanks! I’m going to make the mas soon as possible, no later than the weekend.